In 2006, the Chinese sent thousands of seeds into space by satellite. After they germinated, they chose the best seeds to breed. 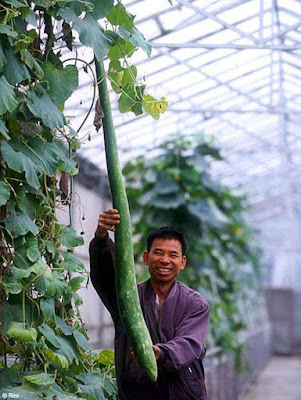 What resulted from this was rather astonishing - giant vegetables! The implications of these mutations are significant to a country with billions of citizens to feed, but it also makes one wonder about the depleted soils we deal with and the need for higher nutrient content. Other questions to be answered include insect resistance or disease resistance. And, as these are mutated seed stocks, what does it mean for those who consume them?